Jesus, Simon/Peter, Andrew, Simon the zealot & Thaddeus/Judas (son of James). “The world” represented as Serpent/Devil. I found it difficult to represent this scripture! Jesus’ phrase “…But take heart, because I have overcome the world.” is very important, but how could I represnt “the world”? 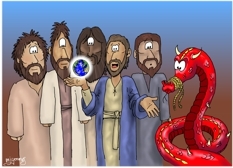 I used a globe, to that end, but also used the red serpent/devil to represent the threat of the world to the disciples. 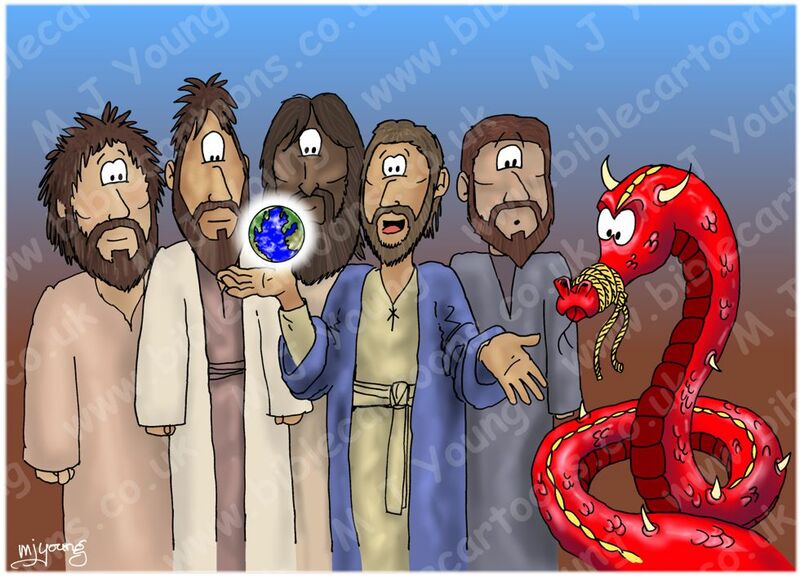 The serpent’s mouth is tied, to show that Jesus has overcome it!